Day 3 of the 2018 Card Player Poker Tour Venetian DeepStack Championship Poker $5,000 no-limit hold’em main event began with 64 players remaining. This event drew a field of 547 entries, blowing away the $2 million guarantee to build a $2,529,875 prize pool. Only the top 63 players were to make the money, though, which meant that one player came back today and left empty-handed. Lisa Hamilton was that unfortunate player, as her pocket tens ran into the pocket queens of Michael Addamo. Hamilton was the last player to be eliminated from this event without cashing, with the remaining 63 players all locking up at least $9,614 as a result of Hamilton’s bustout. After a full eight levels of action the field was narrowed down to just 15 players, each of them with their eyes on the title and the $531,272 first-place prize. The chip leader at the end of the day is Ben Jones (pictured above left), who bagged up 1,936,000. 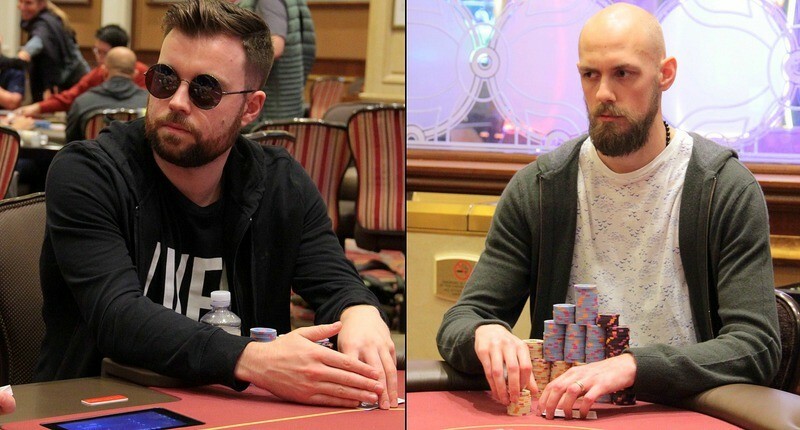 Hot on his heels is 2018 Card PlayerPlayer of the Year contender Stephen Chidwick (pictured above right), who has already made 17 final tables and won four titles in 2018, cashing for $7,134,004 along the way. Chidwick will enter day 4 with 1,787,000. There are plenty of notables left in the field, including 2013 WSOP main event runner-up finisher Jay Farber (1,552,000), Anton Wigg (1,145,000), Darren Rabinowitz (927,000), 2015 Card Player Player of the Year award winner Anthony Zinno (914,000), 2014 WSOP main event champion and 2017 third-place finisher in this event Martin Jacobson (906,000), seven-time bracelet winner Men Nguyen (417,000), Dan Shak (361,000), 2010 Card Player Player of the Year award winner Thomas Marchese (353,000) and Sorel Mizzi (254,000). Plenty of big names made the money during day 3 but failed to make it through to day 4, including Anthony Spinella (19th – $22,263), 2017 runner-up in this event Paul Hoefer (22nd – $18,468), Michael Addamo (25th – $15,685), Barry Hutter (29th – $12,143), Dutch Boyd (30th – $12,143), 2017 champion of this event Javier Gomez (33rd – $12,143), Cord Garcia (39th – $10,878), Chris Tryba (40th – $10,878), Eddy Sabat (45th – $10,878), Andrew Brown (47th – $10,878), Matt Stout (48th – $10,120) and Maria Lampropulos (61st – $9,614). The remaining players who did survive the day will return at 1:00 p.m. local time on Wednesday, July 18th. 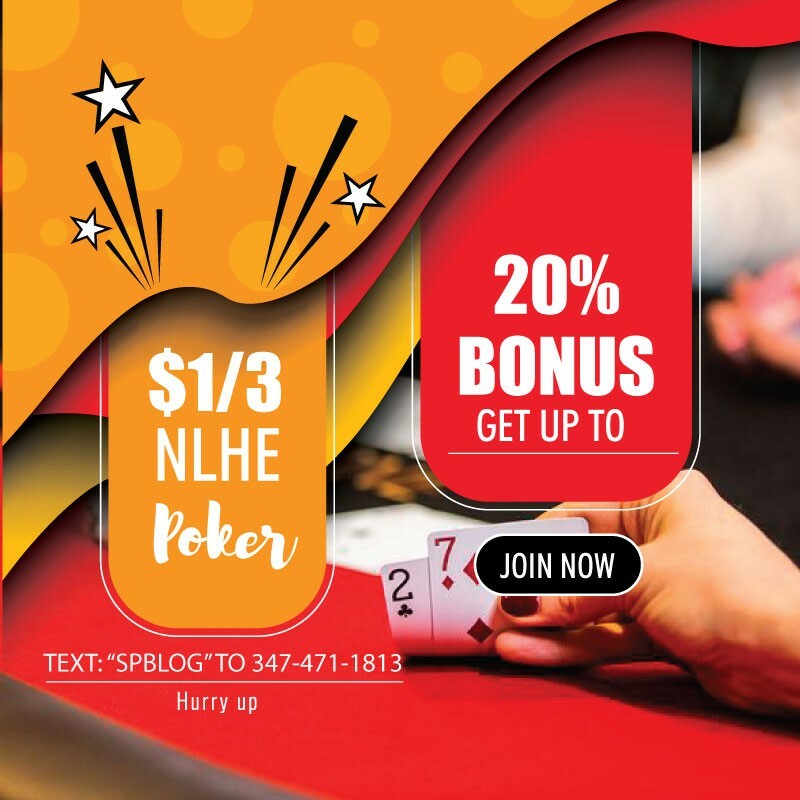 Play will resume with blinds of 10,000-20,000 with a big blind ante of 20,000 for level 23.